1. I printed the coupons/picked up the brochure, but how do I get a Card? Good news, you’re all set! The printed coupons/brochure IS the Card, just present your coupons or brochure at the participating attraction and you’ll receive their discount. And for our mobile users, you can just show the deal on your smartphone when you arrive to any participating location to get the deal. Get access to the deals HERE. 2. My printer doesn’t work, how can I get the coupons? With our new mobile-friendly website, you can just show the coupon/offer at the register of your favorite attraction or follow the website link provided. 3. Where can I find the Family Attractions Card brochure? 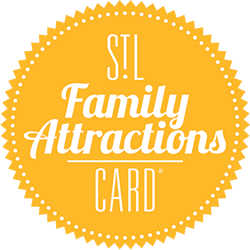 St. Louis Family Attractions Cards are available at the customer service counter of all Schnucks & Dierbergs grocery stores, as well as at the St. Louis Convention and Visitors Commission (Explore St. Louis) Visitor Centers. 4. How do I get my attraction listed on your website? Good question! You can fill out our contact form and someone will contact you soon. 6. How can I find out more about St. Louis? The St. Louis Convention & Visitors Commission can give you more information about things to do in and around St. Louis, visit www.explorestlouis.com or call 888-882-5639. 7. Don’t see an answer to your question here? Ask your question via the contact form.